San Diego Comic Con 2018 has begun and it is already filled with a bunch of new announcements from the merchandise department at Square Enix. They just announced that a Kingdom Hearts 3 Kairi Bring Arts figure is in development, and alongside that figure they have revealed a new Neku Bring Arts figure to commemorate the release of The World Ends With You -Final Remix-. My theorist hat says that the lack of a TWEWY release date in the West is because of a Bring Arts bundle, but my realist hat says if that were a thing then surely he would be painted by now as they would be working on production to meet the demand. I can't wait to see this figure painted! 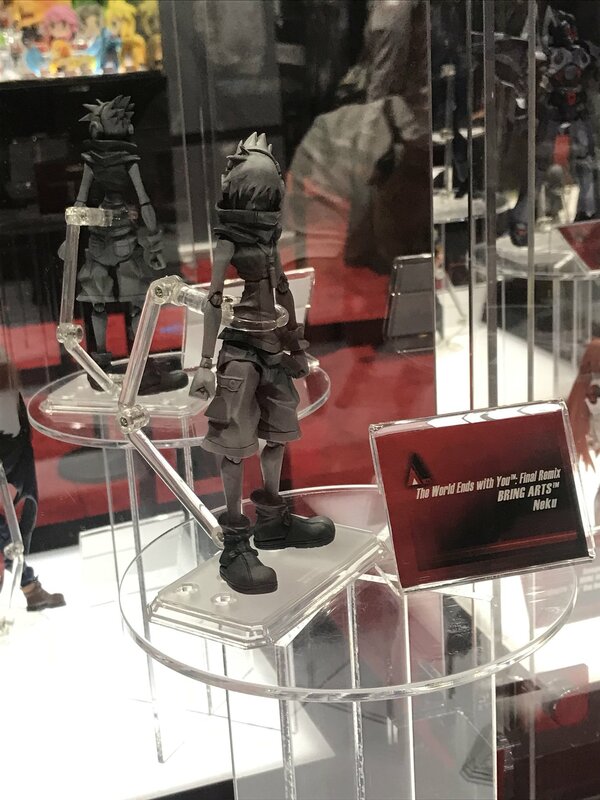 Aaaah, I really hope we get more TWEWY figures! The figure's details look amazing as usual. I wonder what accessories will come with Neku. Definite pick up for me. I am so hype, I loved him in DDD and cannot wait to see his story on the Switch! Now that's a figure I'd actually be interested in for a change.